Face sunscreens have become quite prolific, from the everyday face moisturizers with a small amount of sun protection, to the high end expensive face creams with high broad spectrum sun protection. Within the last 40 years we have been increasingly made aware of how important it is to protect ourselves from the sun's UV rays and their contribution to the formation of wrinkles and skin cancers. As the world is becoming more conscious about their health and not just the way that they look, there are an ever increasing number of sunscreens becoming available on the market. How best to choose a face sunscreen that is right for you can be very confusing, but there are a few basic considerations that can help. Formulated specifically for use on the face, we first need to be aware of how our skin reacts to the sun to be able to choose effectively. Different skin types need different sunscreen protection. The skin on our face is much more sensitive than the skin on the rest of our body, plus it can get exposed to the sun and the weather more extensively, so it makes sense to use a sunscreen product that will accommodate your own specific skin. Some regular sunscreens can be too heavy on the skin, clogging pores and causing breakouts, or too harsh, leading to negative skin reactions. Face sunscreens endeavor to use ingredients that are gentle enough for use on your complexion, plus are often lightweight and easily absorbed into the skin. One of the key elements of a good sunscreen is that it must be strong enough to guard against both UVA and UVB rays at a high protection level. High SPF levels provide the UVB protection you need, meaning you won't have to deal with uncomfortable and unsightly sunburn on your face. However, obtaining high protection from UVA rays as well as UVB will help your chances of preventing getting fine lines and wrinkles due to premature aging. It is the UVA rays that wreak havoc deep within the epidermis, causing skin cancers. In addition to UVA and UVB protection, ideally your face sunscreen needs to contain excellent moisturizing properties so that your skin stays soft, supple, and youthful. and sun damage is the top cause of premature aging in both women and men alike. The cell membrane itself is in danger when exposed to radiation and the connective tissues and collagen are destroyed. This effectively decreases skin elasticity, which is what promotes the formation of wrinkles on the skin. Moisturising properties definitely do help though! Not generally recommended for the face as it is hard to get an even cover and you don't want to breathe in any of the active ingredients. Even the natural mineral ones. If you want a hint of bronze color added to your complexion, you can also purchase a special sunscreen with a tinted bronzer, which gives your complexion that sun kissed look while actually protecting it from ultraviolet damage. 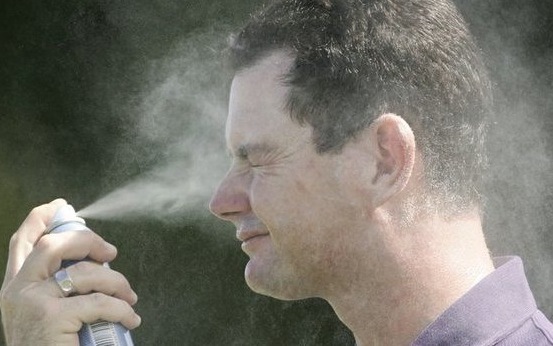 An interesting aspect of using a sunscreen on your face is that many people will put it on as a daily task but not many will choose to protect their other exposed body parts! 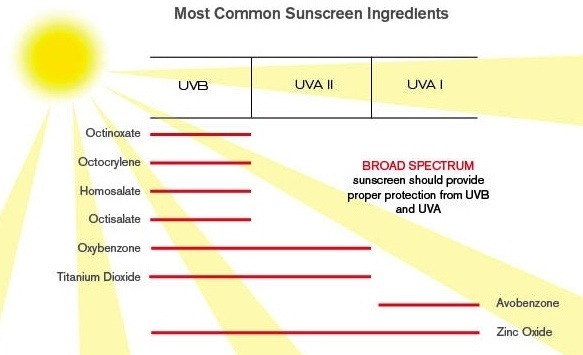 Many sunscreens can be worn both on the body and on the face, but sunscreens made specifically for the face are usually more expensive and complex and so are not used as a general body sunscreen. O magazine reported that dermatologists see far too many women with their hands, necks and chests looking 20 years older than their faces. Having been diligent enough to keep their faces protected from the sun, they forgot how open and unprotected their hands, necks and chests were. "Must not leave you shiny"
"Must be invisible under makeup"
"Must not clog the skin's pores"
"Must absorb into the skin in seconds"
"Must keep all the UV rays away to be worth every penny"
"I would like a face sunscreen product that you can put on in the morning and it will protect you all day while also softening the skin"
Although all of the above are achievable, the latter particularly is not always possible and it is generally a safer policy to apply your face sunscreen every 2 to 4 hours to ensure complete protection of the skin. Face sunscreens made with zinc oxide will effectively block both the UVA and UVB rays from coming into contact with the skin. This is very safe on the skin it is 100% natural and is in fact used traditionally on babies to heal skin rashes. Lastly, remember the need to properly protect your skin against sun damage includes your whole body and not just your face. When it comes to sun protection, you should be safe from ultraviolet rays from head to toe.